Home › #bcpoli | TycoonLink › TransLinkTax tidbits: Of Jim, Bill, Doug and co. Insights West’s latest poll on the TransLink expansion plebiscite isn’t good news for the Yes camp. The leading reason for voting No is a lack of confidence in TransLink to do a good job and properly implement the proposed transportation projects (78%). Not surprisingly, only 11% of those planning to vote Yes were confident in TransLink’s ability. No wonder you hear the Yes camp repeat that mantra “…it’s not about TransLink” or “…TransLink is not on the ballot.” They’re trying to hide that elephant in the room. Respondents to Insights West know that the plebiscite is all about whether to fund the expansion of the regional monopoly that is called TransLink with a sales tax hike of 0.5%. Full stop. 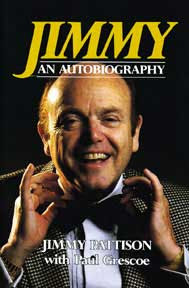 And how about the Jim Pattison effect? The 86-year-old played “tycoon to the rescue” on March 6, endorsing the Yes camp and pledging to chair a committee to oversee the funds collected. But 55% of respondents are in the probably and definitely No columns and 14% said the Pattison announcement would make them more likely to vote No. So why the backlash for the billionaire who famously saved Expo 86 and is now considered the richest man in B.C.? A man given the Freedom of the City award by Mayor Gregor Robertson? Do respondents really believe Pattison is nothing more than a celebrity endorser and figurehead committee chair? Robertson hasn’t been particularly friendly to cars or coal in recent years, but he is a pro-development mayor. Vision Vancouver reported receiving a $13,000 donation from Pattison’s Great Pacific Capital in 2014. At its Oct. 28, 2014 meeting, the last before the election, the Vision Vancouver majority city council rubber-stamped the rezoning of 1290 Burrard St., to enable Pattison’s company to build the 60-storey Burrard Place luxury skyscraper. Complete with 813 parking spaces for motor vehicles. The four-point terms of reference for the Pattison committee are silent on the issue of public meetings and Greg Moore, the TransLink SpokesMayor, has not responded to my queries. IntegrityBC executive director Dermod Travis gave the Pattison move his thumbs down. Pattison, coincidentally, lives in the same British Properties mansion once occupied by Fred Hume. Hume was Vancouver’s mayor from 1951 to 1958 but lived across the Lions Gate Bridge in West Vancouver. You might remember how Vision Vancouver attacked NPA mayoral challenger Kirk LaPointe for living on the University of British Columbia campus. Broadcaster Bill Good signed-off from his CKNW talkshow for the last time on Aug. 1, 2014, capping a 50-year career in TV and radio. But he says he’s not done yet. Good is back in front of a microphone as the moderator of the Yes camp’s telephone town halls, which launched March 2 at Vision Vancouver-ally Stratcom. Good said he was approached by TransLink contractor Kirk and Co. Consulting and agreed to do the job strictly under the condition that he act as a moderator, not as an advocate for the Yes side. “I’m thoroughly enjoying it,” Good said. You won’t find him on the company photo page, but after managing the BC Liberals’ 2013 campaign, Mike McDonald went to work with Kirk and Co. That campaign included the promise to impose a plebiscite on funding TransLink expansion. Almost a month ago, on Feb. 11, TransLink took a cue from the Catholic church and Major League Baseball and hired a second CEO. Ian Jarvis, the $422,000 a year CEO, became an advisor to the board of directors, while Doug Allen became the interim CEO at $35,000 a month until August. Allen had a 10-year career with the Government of Canada and 15 years in the British Columbia government, including five deputy ministerial posts. He would be entitled to a reasonably large pension after those 25 years of public service, but it appears he is in no rush to talk about it. One source tells me he is eligible for $150,000 a year. Another source says it is $300,000. Allen would obviously know, but the former head of the SNC-Lavalin built-and-operated Canada Line hasn’t responded to my queries. If he did call me, I’d also ask him whether he might want to give taxpayers a break on that $35,000 a month he’s raking in. Another day, another report designed to massage voters into closing their eyes, holding their noses and marking the Yes box on the ballots that will be mailed out March 16. This time, on March 9, it was by the C.D. Howe Institute. A Toronto corporate-friendly think tank that describes itself as an “independent not-for-profit research institute.” The board of directors meets every spring and fall to “approve the strategic direction of the institute’s policy work,” among other things. C.D. Howe is the voice of industry. Its board includes GE Canada CEO Elyse Allan, Ford Motor Co. of Canada CEO Dianne Craig, CIBC CEO Victor Dodig, Manulife chair Bruce Gordon, Reimer World Corp. CEO Donald Reimer and KMPG CEO William Thomas. Companies in transportation systems, vehicle manufacturing, finance, development, logistics and consulting would all stand to benefit from a Yes vote. Whether the benefits of the Mayors’ Council’s transportation plan passes a cost-benefit test depends on the additional revenue sources to finance the plan. Using congestion charges or sales taxes, and not income taxes, would keep the annual economic costs of the plan below $1 billion. But that figure would be over $3 billion if the province raised corporate income taxes. A disclaimer says the author “maintained full editorial independence.” But, consider the corporate make-up of the board of directors and you can safely assume C.D. Howe would probably not befriend the concept of a corporate tax increase until hell freezes over. C.D. Howe partnered on this report with Clean Energy Canada, a Bowen Island-based lobby affiliated with the Tides Canada foundation. A common denominator is Nancy Olewiler, the former TransLink board chair. She is an advisor for Clean Energy Canada and a research fellow for the C.D. Howe Institute. Olewiler penned a commentary in Policy Options in March 2013 under the headline “Think Twice About All that Spending on Transportation” which calls into question the notion of spending billions of dollars of public funds on transit and transportation expansion. A society of slow growth may be the tipping point for transportation. With lower growth, the amount of goods that need to move may not increase at the rates we are accustomed to, meaning there is less need for that incremental investment in roads and rail. The other wheel of the tricycle for this report? Real Estate Foundation of British Columbia. The philanthropic arm of the real estate industry is governed by a board that includes four real estate executives from Delta, Abbotsford and Chilliwack. In 2013, REFBC grants went to organizations like David Suzuki Foundation ($50,000), Tides Canada ($15,000), PHS Community Services Society ($25,000) and Light House Sustainable Building Centre Society ($14,163). One area that wants slow growth is Marpole, where towers are transforming major intersections on Granville and Cambie. Residents of Marine Gardens are being forced to move from their Habitat ’76 townhouse complex to make way for a Concord Pacific tower. On March 8, the Marpole Residents’ Coalition notified neighbours of a hastily called evening meeting with City of Vancouver engineers and transit policy bureaucrats on March 11 at St. Augustine’s Church. The city staffers want to talk about the Marpole Transportation Strategy and convince them to vote Yes in the plebiscite. MRC is recommending its members vote No. Problems with TransLink have been well described by local and national news media. Examples include: bloated management with overly generous salaries and bonuses, projects running late and over budget (examples: Compass Card, fare gates), and SkyTrain service shutdowns. Some of us in MRC believe that the above issues illustrate that TrankLink has governance, managerial, and operational deficiencies that must be addressed. We believe that the most expeditious way to achieve the efficient public transportation system that we require is to address the numerous structural problems within TransLink before approving further additional funding for expansion. For this reason, we will be voting “No” to Congestion Improvement Tax in the TransLink plebiscite. Last week I encountered 3 individuals wearing “Yes Vote” vests collecting “pledges” at the Roundhouse Station. I was pressed for time the first encounter so was only able to ask if they were volunteers or were being paid. Talk about obfuscation. After a series of pointed questions I established he had voluntarily signed up for the job but was being paid. Lol. On and on it went until the phone in her pocket rang and she excused herself to walk away and answer it. Ironically, at the same time, one of the other pledge takers was on his phone and the two of them ended their calls at the same time. Man, they think we’re stupid. Its real easy to see why business is pro YES. They and their friends all stand to make a lot of money at the expense of tax payers. Those high salaries mentioned in the beginning of your article tells us all we need to know. While hospital cleaners are expected to work for $12 an hr. we are paying these ineffective Translinc execs. hundreds of thousands of dollars. There is something wrong here. Hospital cleaners will ensure you don’t die of some viruses and germs while in hospital. The Translink executives have a hard time running a whore house and bar in the middle of a desert, as the saying goes. They can’t even get what they have straight, so why give them an extra dollar. Ask Pattison to fund the expansion. You hit it out of the park again, Bob!! I had a phone call from some YES polling company and the young lady phoning told me that everyone in the province will be paying the .5% increase in PST to pay for Translink. I’m sure the folks in Vanderhoof will be pleased to hear that!!!LOL!!!!! Translink is surely not entitled to any more money until they revamp the salaries of the C E O ‘s in particular, the so called police and the way transonic spends our tax money when they are an un-elected body of people as big money grabbers on the face of this earth. The C E O ‘s of the largest transit company in North America are paid $270,000.00 less than B C ‘s infamous translink execs. and their wasteful overspending and loss of good taxpayers money. Furthermore, we are being told that the yes vote will earn me more money, wrong, it means more money out of my pockets and into the hand of the coffers. I certainly say a definite NO to the plebiscite.